You may take great care of your body, but do you take care of your mind? Do you sit with feelings when they arise or do you get weighed down by them and become resentful? Do you take time out of your productive day to slow down and sit quietly? Our Broken Brain Podcast this week is all about our mindset. 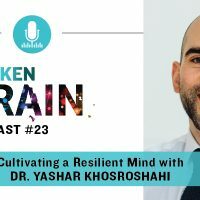 Dhru and our guest this week, Toronto-based Naturopathic Doctor and founder of “Mindshift Ninja” Dr. Yashar Khosroshahi, talk about going from knowing something to actually doing something…taking that knowledge you have acquired from years of reading and studying and applying it to actionable steps. This is a special conversation that contemplates mind practices such as meditation, awareness, and reframing beliefs. There are practical tips, too, like how to become that mindshift ninja, mentoring your kids to start out young with a healthy mindset, and what you can do to increase resilience. PS – Find Dr. Khosroshahi online at his website and on Instagram. 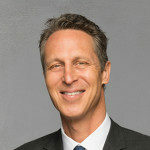 He can also be found at Mindshift Ninja.